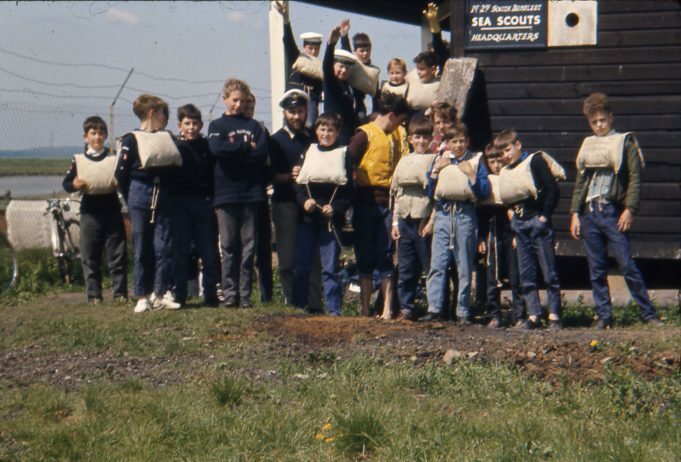 In the late 1960 I took over as Group Leader of the Sea Scouts and during this time new headquarters (1968) were official opened by Stan Fisher a retired Sea Scout leader, his Sister Kath Fisher still ran the Cub section. The new building was erected on the waterfront just west of the Railway Station. Stan Fisher arrived in the creek on his sailing cruiser and was met by the groups whaler, rowed by Patrol Leader’s. On landing he opened the ceremony by undoing a reef knot tied across the compound gates. Many local commissioners from the Scouting world attended, and the afternoon ended by a demonstration of boat and canoe handling by the scouts. The Parents committee laid on refreshment. Unfortunately vandals burnt this down in later years. 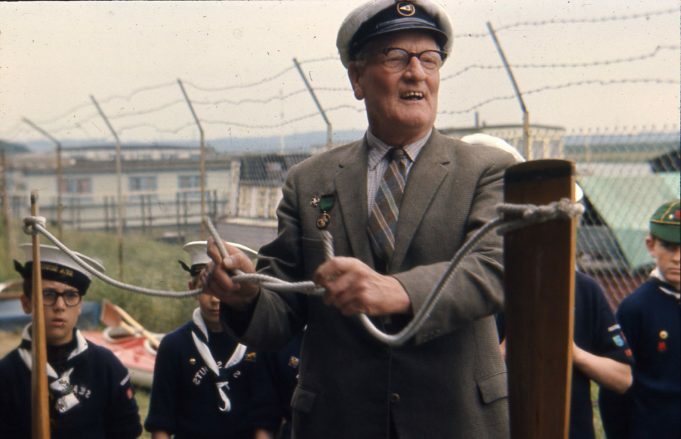 It was rebuilt (This HQ was opened by Sir Bernard Brain after I retired from Scouting) but again vandals destroyed it together with most of the craft and canoes that had been donated to the group over the years. The group decided enough was enough and moved away from the waterside site. Great to find this page, I joined the 1st & 2nd as a cub in 1957 with Cath Fisher as Akela, moved to the scouts when I was 11 with Bill Knobs the scoutmaster until Ian took over. Finally was the Senior section patrol leader until 1968. 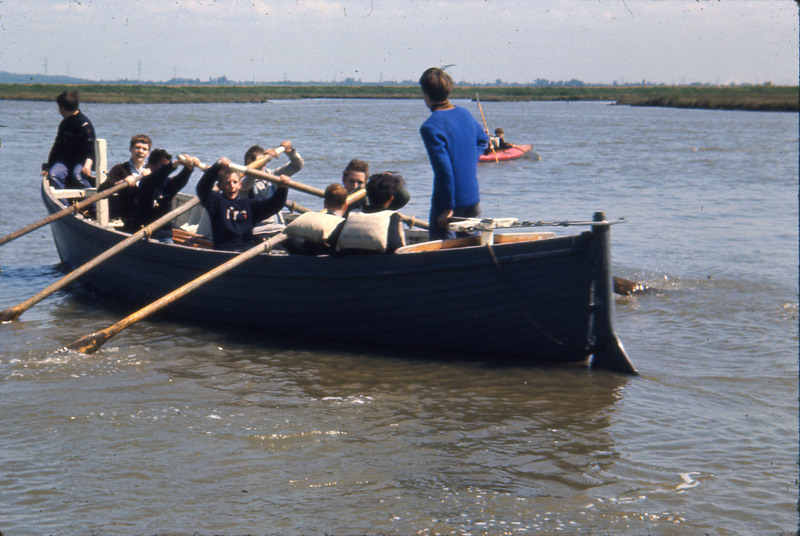 The move from the school to our own hut was a great improvement as it let us acquire a number of boats and canoes to use on the creek, including a GP14 which we raced in the Benfleet YC Races. 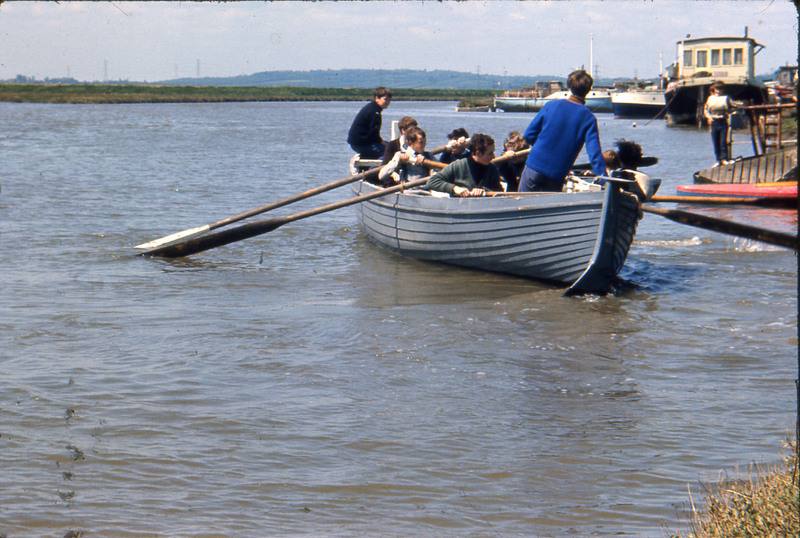 With some of my friends Brian Pooley & Peter Taylor we used to crew Pax for Stan Fisher, weekends up the Medway. He taught us a lot about sailing and maintaining the boat. In my previous comment I was mistaken about the slaughter house, it was in Station Road nearly opposite Aggi’s shop. 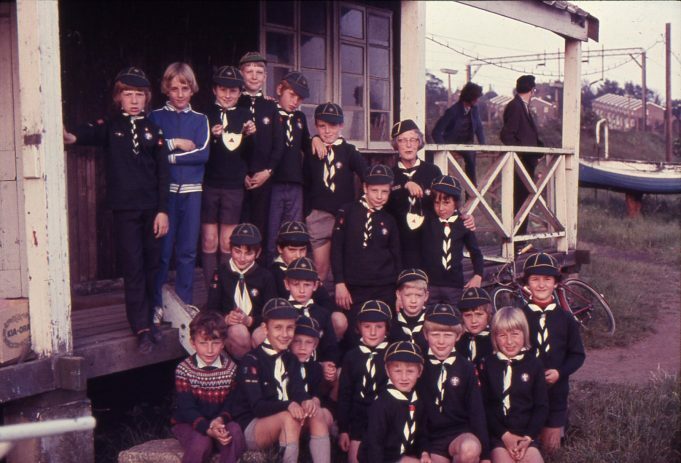 I have made comment on the 1st & 2nd Sea Scouts before and at the time I was in the group we didn’t have a meeting place as such. In 1949 to 1950s we met at Benfleet school and at the old slaughter house at the bottom of St Marys Road and also on a WWII MTB in the creek. Skipper Fisher’s boat was called PAX and when I came to live in Benfleet in 1972 I used to see Tom Fisher in the High Road quite often but didn’t get to talk to him. My brother was a member of the Benfleet Sea Scouts, Click here to see a picture of his membership card. My father, uncle and grandfather owned “Edith & Hilda” in 1965. I recall her even though I was only five. She was moored at Benfleet, she suffered transom damage from a poor birth. I have seen her now hulked in Maldon, the transom repair still visible though mostly gone from the keelson up. 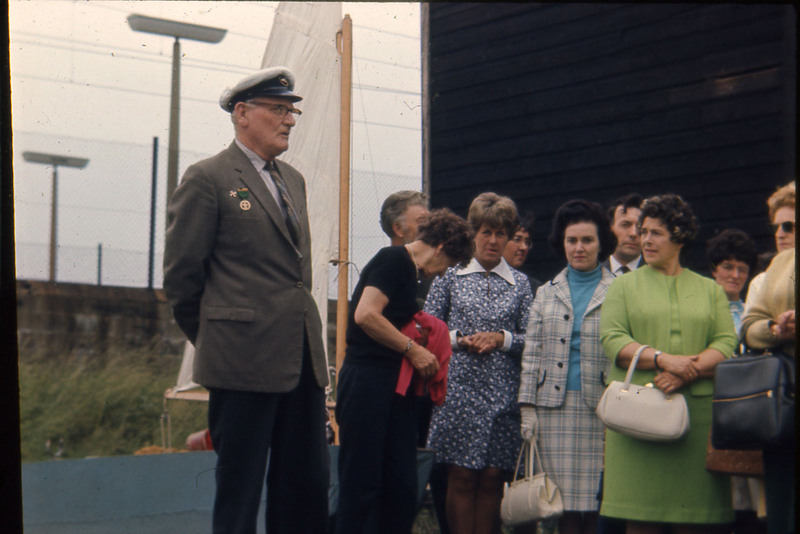 I am looking into the sailing barge Edith & Hilda, I was told the Benfleet Sea Scouts owned her at some point. Does anyone have any pictures of her ? 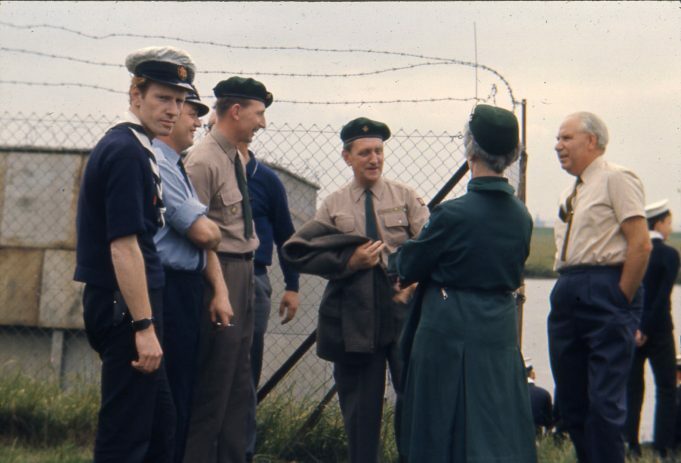 Hi Colin, I’m Tony Matthews one time patrol leader of Otter Patrol, early 1950s, the other patrols had sea bird names and Keith Musto the olympic yachtsman led another patrol, while Alan Maley a close friend since schooldays was another PL and got the MBE for setting up an English language college in Peking. 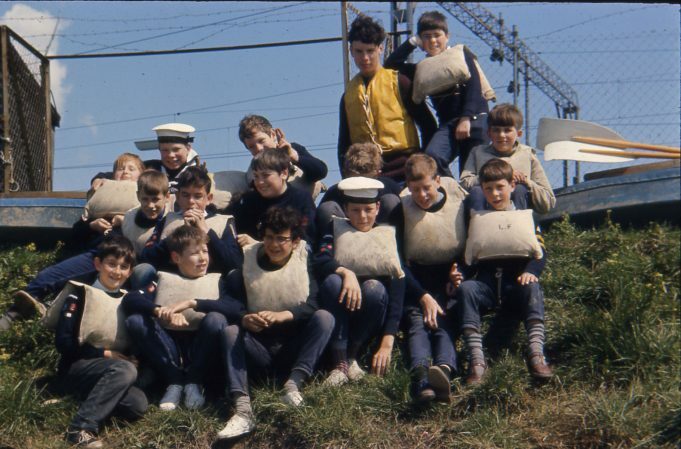 My recollection of the Sea Scouts was that we met in a hall or shed behind the Vicarage on Vicarage Hill. Myself and my friend Colin Wood used to attend, this would have been around 1949, I think you had to be twelve years old to join then. I was invested? at a ceremony in a hall just at the lower end of the Essex Way and the track that led up to the Downs. We were doing the old whispers thing about passing it on and in a rather mischievous moment I deliberately distorted the message but got found out in the who did what enquiry after the event, just a bit of fun I thought at the time but my pals tipped me over a big bushy hedge coming down the hill after the end of the meeting. I can remember the cutter and I thought there was a dory as well but might be wrong about that. I quite liked the boating side of things and later I would go and sail with Martin Goodwin at Hole Haven where he moored his boat. A rather strange quirk or what ever, the house he lived in was one of the black tarred cottages on the right going up Essex Way and some years later while talking to my Grandmother she said she had lived in the same house as a young girl and that my Aunt Willa was born in the house. These photos bring back memories. I was in this scout group in the mid sixties. Can remember there were signs in the creek telling you not to swim because of the sewage pollution! I remember the original old hut being destroyed in that storm. Sure some of it nearly landed on the station! Yes, I believe you are right. I knew there was a fire but had forgotten about the storm damage, thanks for pointing this out. I am sure that the old Scout hut was destroyed in the 1987 hurricane when the roof was blown over the railway line to land on the recreation ground. It was rebuilt but abandoned in 2000-1, It was burned down by vandals in September 2003.